From the lived experience of Chloe Catchpole and clinical psychologists, Lauren Callaghan and Dr Annemarie O’Connor, this book is divided into two helpful, cohesive parts. In Part I we follow Chloe’s struggle with body image and body dysmorphia. 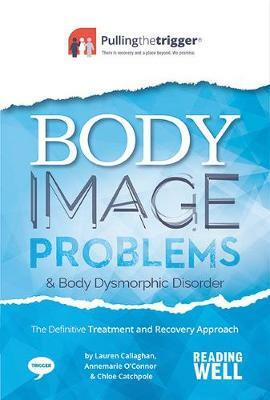 People living with any type of body image or anxiety conditions will identify with Chloe’s experience. Part II is a unique, user-friendly self-help approach to support and guide mild, moderate and severe sufferers to a place called recovery and beyond.